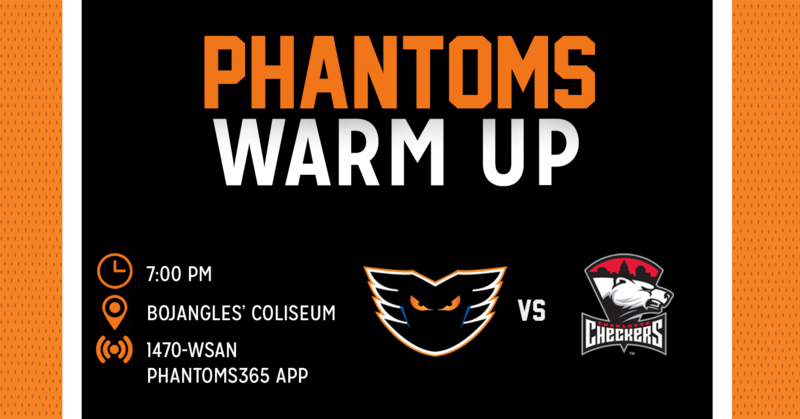 The Lehigh Valley Phantoms continue their current five-game road trip as they visit the Charlotte Checkers in the first of two meetings this week on Tuesday, April 2, at 7:00 p.m. Tuesday’s matchup will mark the seventh of eight meetings between the division rivals this season. 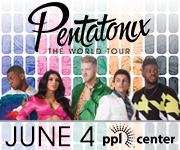 The two squads most recently split a two-game series at PPL Center in early March. 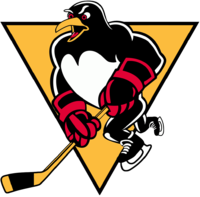 Lehigh Valley (34-28-4-3) is coming off a shootout victory against the Cleveland Monsters this past Saturday night and, with its 3-2 victory, is currently sitting just six points out of the fourth spot in the division, currently occupied by the Providence Bruins. With the Bruins idle tonight, a victory will put the Orange and Black right in the thick of the playoff race with a handful of games remaining on their schedule. Charlotte (46-16-7-1) currently holds the best record in the AHL, and, the Checkers have already clinched an Atlantic Division title thanks to a Bridgeport Sound Tigers loss earlier in the day. 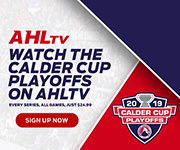 After a nine-game streak of garnering a point or better in the standings (8-0-1), Charlotte most recently lost to second-place Bridgeport 2-1 on Saturday afternoon. 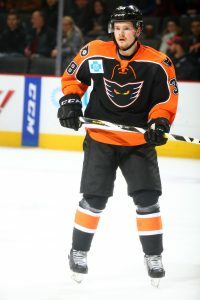 Lehigh Valley Forward Byron Froese is currently riding a four-game point streak in which he has netted three goals and tallied three assists for a total of six points. Rookie Pascal Laberge has recorded five points in his past three games, including a hat trick against the Rochester Americans last Wednesday night. 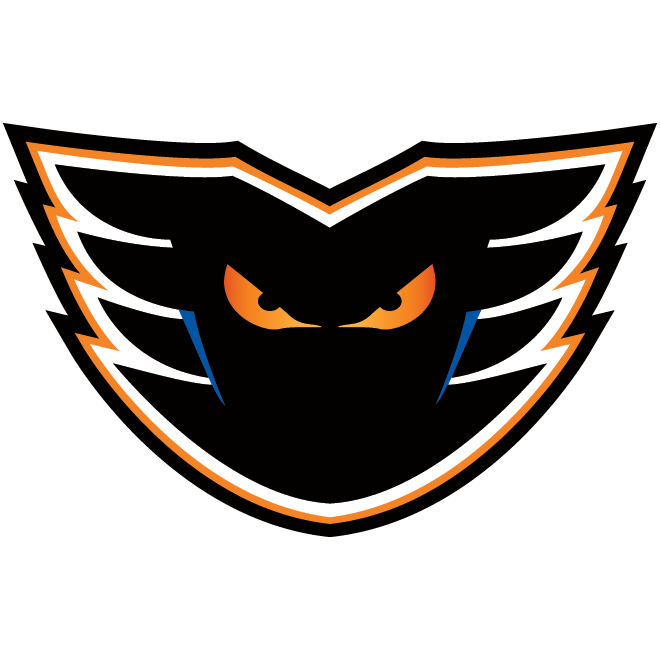 The Phantoms penalty kill has been lights out on the road this season and is currently operating at a 90.8 percent success rate, allowing just 11 goals in 119 times shorthanded. 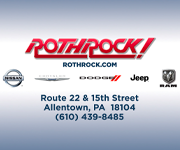 In addition, the Lehigh Valley PK has allowed just two goals on 26 opportunities (92.3%) against Charlotte this season. 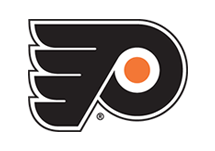 A strong start could assist the Phantoms in getting the victory over the Checkers on Tuesday. 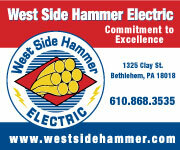 This season, the Phantoms are nearly unbeatable when leading after two periods, holding a 23-1-0-0 record. The Checkers are just 3-11-5-0 when trailing after two periods of play. Tuesday and Wednesday will likely pit two goalies named Alex up against one another. While Charlotte goaltender Alex Nedeljkovic currently leads the league in games played (48), goals-against average (2.24) and wins (32), Phantoms goalie Alex Lyon leads the team in games played (34) and also ranks fourth in league in save percentage (.920). 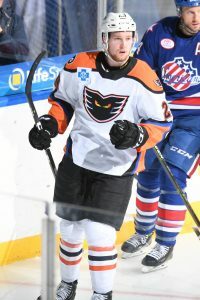 Pascal Laberge has notched five points (4G-1A) in his past three games for the Phantoms. All six of the 20-year-old rookie’s points this season have been accumulated over the course of his seven contests away from PPL Center. 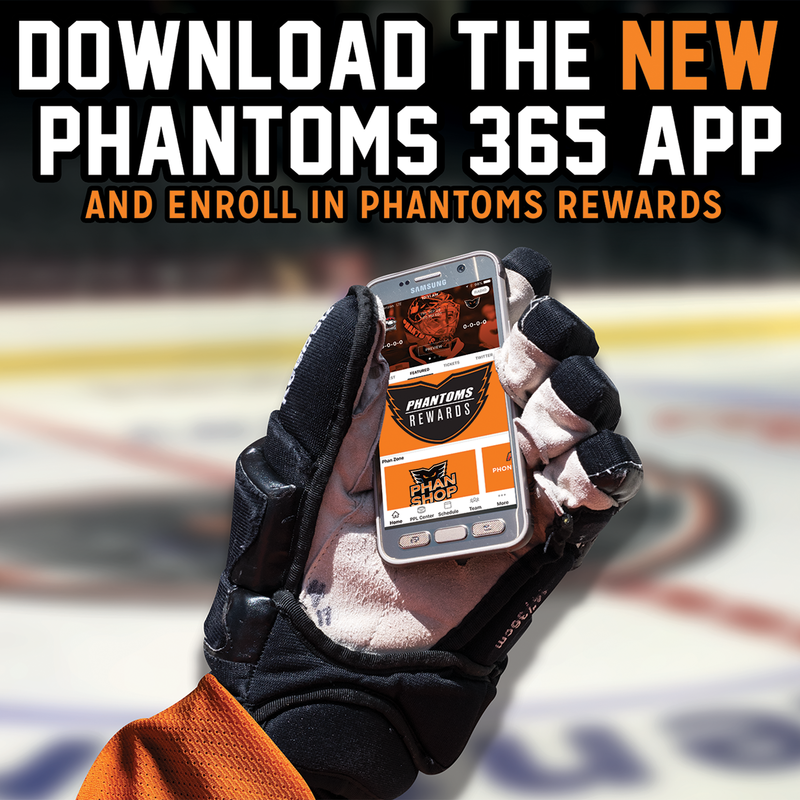 David Kase is another Phantoms rookie who could impress against the Checkers on Tuesday night. The 21-year old has tallied four points (1G-3A) in as many games against Charlotte this season and in his last five games overall, the Czech Republic native has accumulated three assists. 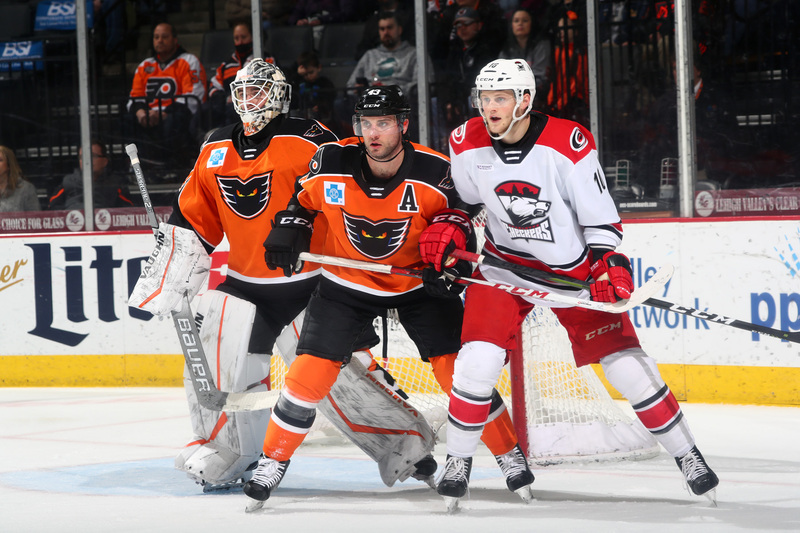 The Lehigh Valley Phantoms will continue their current five-game road trip with a rematch against the Charlotte Checkers on Wednesday, April 3, at 7:00 p.m. inside of Bojangles’ Coliseum. 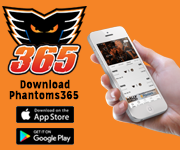 Tune into the game on AHLTV or listen live via the Phantoms365 App!